﻿ Chicago Hispanic Newspaper, Lawndale News, Hispanic Bilingual Newspapers, Su Noticiero Bilingue » Why Should There Be Reparations? April 23, 2019 12:52 pm You are here:Home Commentary Why Should There Be Reparations? Why Should There Be Reparations? Posted by Editor on May 29, 2014 in Commentary | Comments Off on Why Should There Be Reparations? In an article to the The Atlantic monthly magazine, an African American writer and senior editor for the magazine named Ta-Nehisi Coates has written a long (and I should state meandering) article for why African Americans should be given reparations for slavery and racial discrimination. 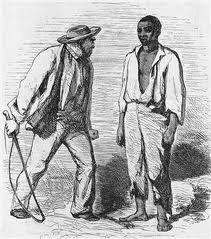 I read many articles back in the 1990’s about why African Americans should get reparations from the federal government for the institution of slavery and the racial discrimination African Americans had endured. I read the article with disgust. The article implies that America has not really moved beyond the point it was at 40 years before (we most certainly have. How else can one explain having a president of mixed European and African race in the White House? ), and that all whites and “white society” are guilty of what happened to African Americans. That is not true, and neither are all people of European ancestry guilty for the institution of slavery in the United States and for what happened to African Americans. Half my ancestry was not even in the United States at the time when slavery existed, and the other half actually fought in the U.S. Civil War (1861-1865) on the side of the Union to abolish slavery and free the African slaves. Are those who fought on the side of the Union guilty for slavery, and should their descendants be held accountable for slavery and what happened to African Americans? And while we are on the topic, I could bring up a whole list of injustices done by the U.S. government against whole groups of people. What about the Italian immigrants and Italian Americans who were forced into internment camps and forcibly moved from their homes because they were deemed “security risks” during World War II? Incidentally, the same thing happened to German immigrants during that war. None of these people were ever compensated for what they suffered, and neither have their families or descendants. What about those Chinese who were deliberately thrown out and kept out of this country and their families denied a chance at U.S. citizenship because of the Chinese Exclusion Acts? They and their descendants have yet to be compensated for this. Given all of this, are African Americans the only ones who have suffered injustice? One should never argue for slavery and for discrimination of any kind. Whether it be the Jim Crow laws that discriminated against African Americans, whether it be the barrio laws that discriminated against Mexicans, and whether it is acts that have in the past denied the basic rights of certain groups of people, this must never be tolerated and these past acts must forever be condemned. But financial reparations for African Americans is unrealistic, and puts one group above others who have suffered no less. What we as a nation should be doing is working hard to stay united as a nation and make sure these things of the past never happen again.